Known as the world’s fastest couch potatoes, Greyhounds are a very special breed of gentle snugglers. Let’s take a closer look at this elegant breed, with a history that goes back at least hundreds of years. Being extremely fast and agile, yet exceptionally loving and docile, the Greyhound has a loyal following. And like the owners of a vintage sports car, owners of Greyhounds take great pride in accompanying their beloved hounds on a run in the park. Indeed, seeing a Greyhound in full flight is a magical experience. In full gallop, the Greyhound has a double suspension action — all four his legs are off the ground twice: once when the body is fully extended and once when it is fully contracted. Like a horse, basically. And almost as fast. At a top speed of 74km/h, a Greyhound is one of the fastest land mammals. Yet, one would not suspect that for most of the day. Contrary to popular belief, Greyhounds have extremely low energy levels and can spend up to 22 hours a day resting or sleeping. This does not mean that they don’t need regular exercise. Rather, it means that a daily 20-minute sprint in a fenced-off field or park, where he’s allowed to stretch his legs fully, is more than enough to keep him calm and collected for the rest of the day. 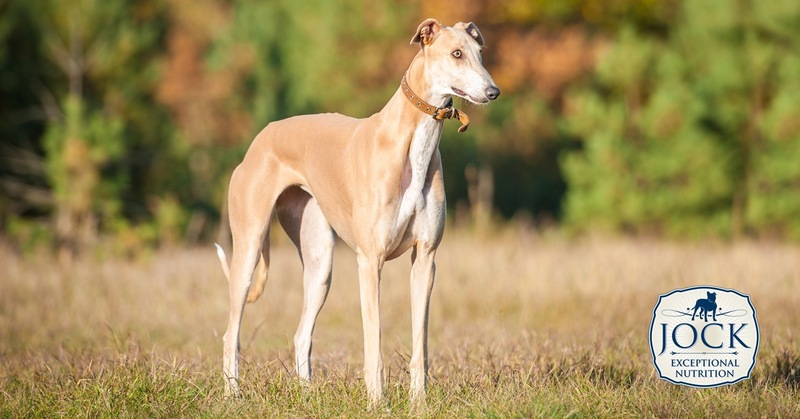 Although similar in appearance to other breeds in the Sighthound group like the Saluki and Sloughi, the Greyhound is actually related more closely to herd dogs of the ancient Celtic tribes of Europe and Asia. Nearly all purebred Greyhound stock today derives from the first registered Greyhounds in the United Kingdom in the 18th century. In South Africa, the Boerewindhond (Greyhounds with some Africanis and other blood) are also often seen in the rural Eastern Cape. Greyhounds were originally bred as hunting dogs, suited to course deer and later hares. In the early 20th-century modern Greyhound racing was introduced to England and the United States and also became very popular in Australia. Today, the dog racing industry is a controversial practice — not because of the racing itself, which the dogs seem to enjoy very much — but because of the cruelty towards the dogs resulting from inhumane breeding and caring practices. 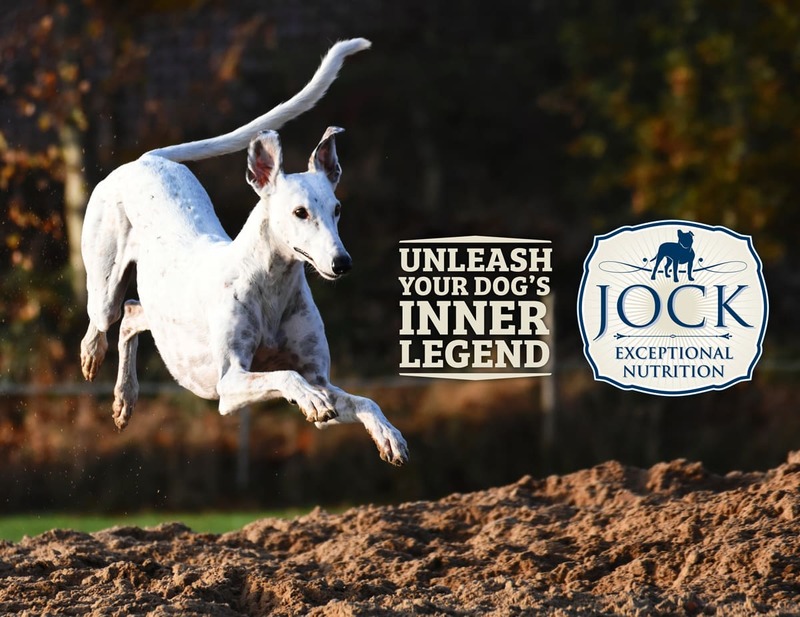 This has, ironically, resulted in a rise in popularity of retired racing dogs as house pets, driven by several animal welfare groups in the UK and other parts of Europe. Greyhounds have a slim, muscular build with a recognizable curved silhouette and flexible spine and a small, elongated head and muzzle. Their extremely short coats have led people to believe that they’re hypoallergenic. Although this is not true (they do shed a tiny bit), their neat appearance and absence of any ‘dog’ smell, certainly make for very civilized housemates — an opinion which will probably be reinforced by the breed’s insistence on sleeping inside (and most probably on the couch or in your bed) as their low body fat ratios make them very sensitive to extreme temperatures. For this reason, a Greyhound should also wear a coat or jersey in winter. The Greyhound is an extremely healthy breed with an average lifespan of 9 to 11 years. They do have a life-threatening intolerance to barbiturate drugs, an older form of common anaesthetics, but nowadays this drug is rarely used by vets. Because of their sighthound temperament, Greyhounds should always be kept on a leash on the street as they are prone to spot and chase down potential prey like birds or squirrels within the blink of an eye. Is a Greyhound for me? Greyhounds are sensitive, loyal, calm and very affectionate creatures. Because of this, they make excellent apartment dogs, despite their size, as long as they have regular access to an open, fenced-off field to run in. If socialized from an early age, they are gentle and respectful towards other dogs and children. So, if you’re looking for a dog that barks very little, doesn’t drool, doesn’t shed much or smell like a dog, has the grace of a cheetah, and simply loves cuddling, then this unique breed is the one for you.